Social media comments inferring the threat of gun violence at Big Island schools at the end of January “spiraled out of control, causing concern for parents,” Hawaiʻi Police Department Puna Patrol Area I Capt. Samuel Jelsma told Big Island Now this morning. In response, additional officers were sent to the Pāhoa and Kea‘au schools indicated in the social media posts on Jan. 29. The posts were brought to school official’s attention yesterday, Tuesday, Feb. 20, and the HPD responded “immediately and appropriately,” Capt. Jelsma said. Capt. Jelsma said three officers were sent to Pāhoa High School, joining the schools resource officer. 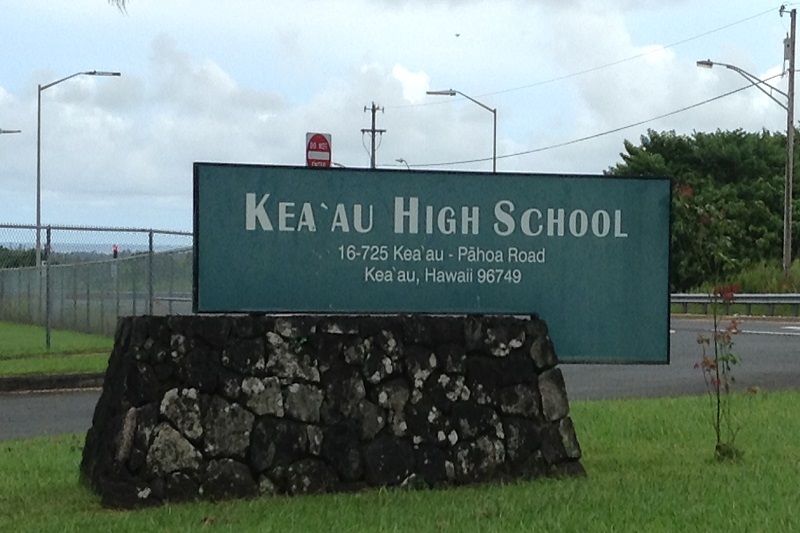 Four officers were sent to Kea‘au High School this morning as well, although no specific or direct threats were made. Capt. Jelsma assured that any and all threats are taken seriously and will be handles appropriately. In the case of the threat made to a Pāhoa High School student, HPD initiated a harassment complaint case the 17-year-old girl. The girl is not a student at the school, said Capt. Jelsma. She was released and the case is being routed to Family Court. The Kea‘au campus will remain open at this time. The Hawai‘i Police Department reports that there is no active shooter situation at either Pāhoa High School or Kea‘au High School. Big Island Now found two HPD officers at Kea‘au High School, but the officers did not share any information about their investigation. 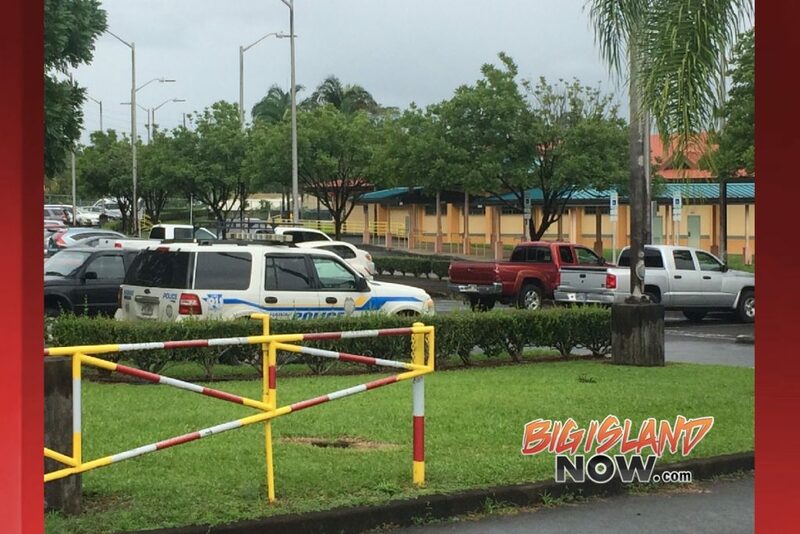 UPDATE 1: Feb. 21, 2018, 8:46 a.m.
Big Island police are on high alert after threats were made at three schools on the island. In response, police have temporarily increased presence at the two public high schools in the Puna District—Pāhoa and Kea‘au High School—along with Konawainea High School on Wednesday, Feb. 21, 2018. Police have been meeting with school officials. 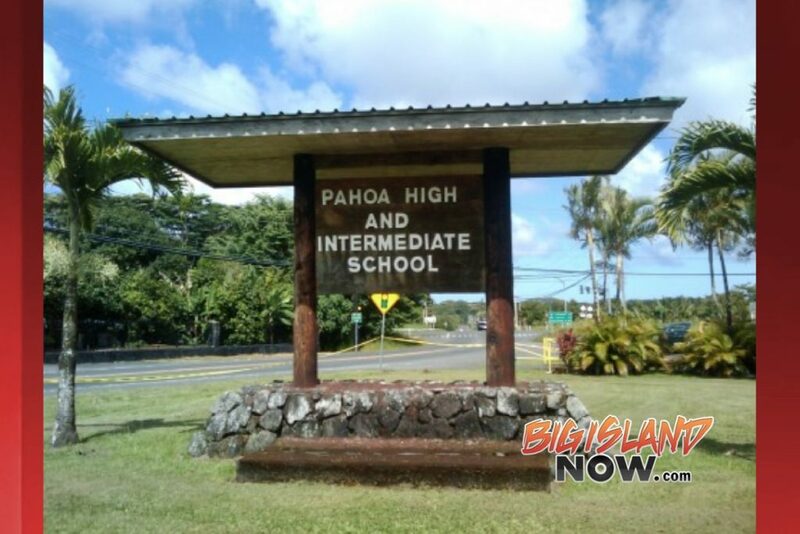 In response to social media posts on, Jan. 29, which were brought to school official’s attention yesterday, Tuesday, Feb. 20, police were summoned to the Pāhoa High School campus. It was reported that during a back and forth Instagram text between two female teenagers in which insults were exchanged, a 16-year-old female made a comment referencing bringing a firearm to school. Police generated a harassment case and located and interviewed the 16-year-old suspect on Tuesday. She was later released and the case is being routed to Family Court. Although the posting didn’t specify a school, investigation revealed that one of the suspects was connected with Konawaena High School. A 17-year-old male was subsequently arrested and charged with second-degree terroristic threatening. He was later released to his parents. Later social media posts began discussing that a shooting would take place at a Keaʻau school as well. It is a felony to threaten to shoot a gun at school and is punishable by up to five years in prison. In the back of everyone’s mind is the spate of deadly shootings at schools, including one last week at a Florida high school that left 17 people dead. Konawaena High School. File photo. The shooting has prompted several “copycat threats” at other schools across the country, putting authorities on extra high alert. ORIGINAL POST: Feb. 20, 2018, 11:36 p.m.
Investigation into this posting reveals it was posted by a 17-year-old-male juvenile. At about 7 p.m., the suspect was taken into custody and charged with Terroristic Threatening in the Second Degree. The juvenile was subsequently released to his parent due to not qualifying for further detention. 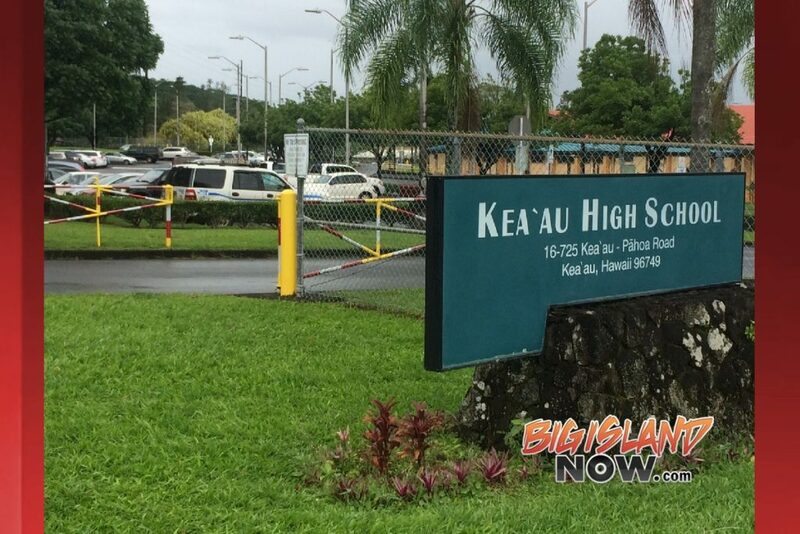 Although the posting did not contain a specific school, the juvenile was found to be connected with Konawaena High School. As a result police will have a greater presence at Konawaena School tomorrow, Wednesday, Feb. 21, 2018. 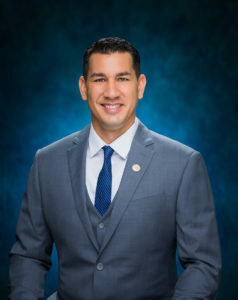 In an effort to protect abused children, Sen. Kaiali‘i Kahele had worked with the Hawai‘i County Prosecutors office to introduce Senate Bill 2323 that would have established procedures for a parent or legal guardian to obtain authorization to home school a child. However, understanding the strong concerns about the measure, Sen. Kahele requested the bill be withdrawn during the joint hearing of the Senate Committees on Education and Human Services. In his request. “Senate Bill 2323 was never meant to not allow loving, caring, families from homeschooling your child and from infringing on your constitutionally protected rights. It was meant to protect children that live unimaginable lives, and are abused, neglected at the hands of the very parents and guardians that should be nurturing them and forgotten by a system that should be protecting them. “Today is Valentine’s Day and many of us will get to share this special day with our loved ones. But that is not the case for Peter Boy Kema, Shaelyn Lehano Stone and many other children across Hawai‘i and America, who do not have a voice and live their lives in fear. “This is a conversation we need to have. It is a conversation we need to have in other States throughout our country and it is a conversation we need to have here in Hawai‘i. “Due to the overwhelming testimony in opposition and the overwhelming turnout today at the Capitol, as the introducer of the bill, your voices have been heard by me and my colleagues and I would like to request that this bill be withdrawn and deferred. The Senate Committees on Education and Human Services deferred action on SB2323. 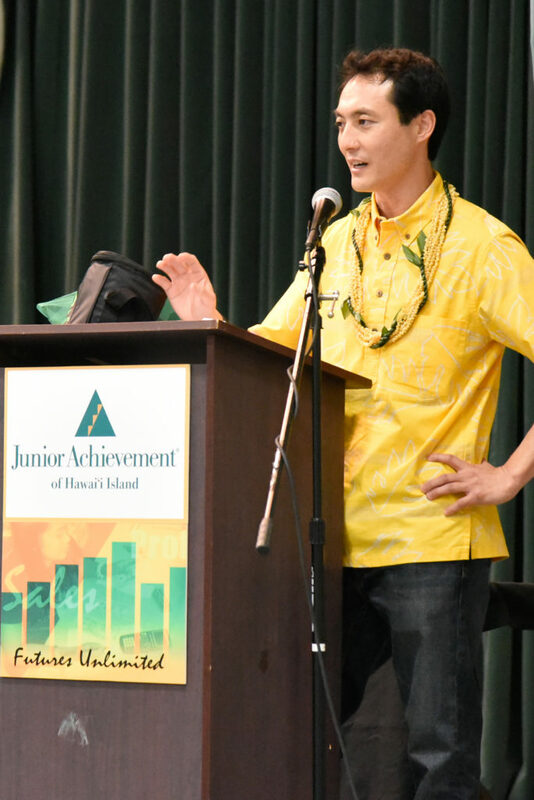 At an awards banquet held on Tuesday, Jan. 20, 2018, at Sanga Hall in Hilo, Junior Achievement of Hawai‘i Island congratulated outstanding young entrepreneurs and awarded $3,500 in scholarships. There was a tie for Outstanding President – awards were presented to Daniel Briski of Young Creations and Brittney Williams of Branching Out. Outstanding Vice Presidents were also recognized for their contributions to their companies: Kanoe Kama (Branching Out – Finance), Kalsey Nacis Jr. (Branching Out – Production), Naya Nguyen (Branching Out – Marketing), Keziah Soares (Branching Out – Human Resources) and Kira Taylor (Young Creations – Public Relations) received the awards. The top three salespeople of the year were Tristen Cullio of Branching Out with $2,277 in sales, Brittney Williams of Branching Out with $2,050 and Daniel Briski of Young Creations with $1,063. Other awards were given to Naya Nguyen of Branching Out for Outstanding Sales Presentation and Brittney Williams of Branching Out for most products sold and highest individual sales at the trade fair. Branching Out – Callista Cava, Tristen Cullio, Aaryn Hoota, Kanoe Kama, Naya Nguyen, Keziah Soares, Kala Van Veen and Brittney Williams. Young Creations – Wilmer Agpaoa, Jaylen Mae Arzaga, Daniel Briski, Dane Dupre, Francina Fabian, Phoebe Furuli, K-Talyn Keter, Kayla Okazaki, Nathan O’Leary, Katelin Paderan, Isabel Portillo, Princess Fatimah Rasalan, Emma Reed, Kailen Scanlon, Kira Taylor and Emilia Wagner-Prekaski. 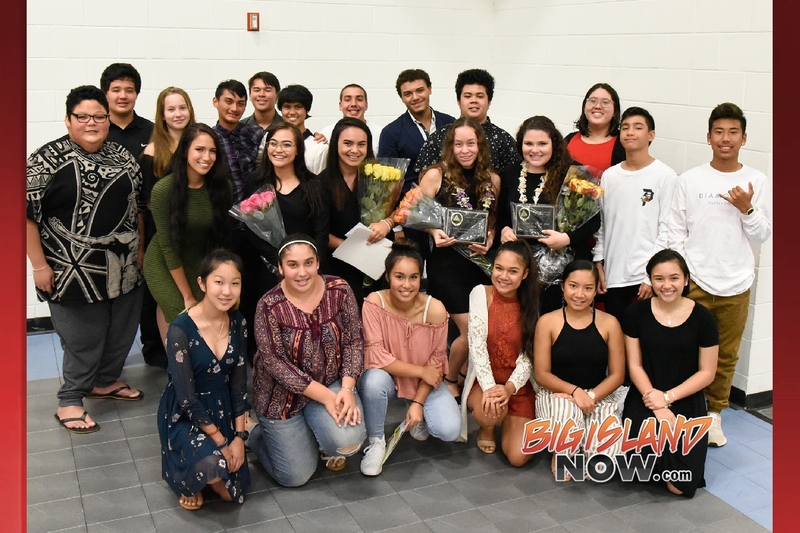 Zenith – Riezhelle Agpaoa, Shayna Atiz, AJ Care, Mikaela Durch, John Carlo Galamay, Anela Kaneshiro, Iain Klegner, Kamakana Liwai, Mika Odaira, Esse Soyon, Thane Todd and Shwe Win. Branching Out – Sydirah Aricayos, Kimokeo Bowden, Callista Cava, Rio Chopot, Tristen Cullio, Anthony Freitas, Alicia Freitas, Aaryn Hoota, Roger Kirkland-Obra, Kysha Rae Paglinawan-Pacheco, Kyla Rae Paglinawan-Pacheco, Carina Shintaku, Hope Surigao and Kala Van Veen. Young Creations – Seth Bello, Sophia Booth, Dane Dupre, Francina Fabian, Bryana Grace, Crismel Juan, K-Talyn Keter, Shyshy Kopura, Hermione Mikami, Kayla Okazaki, Nathan O’Leary, Katelin Paderan, Isabel Portillo, Princess Fatimah Rasalan, Emma Reed and Kailey Scanlon. Zenith – Nicolas Boo Rivera, John Bruce, AJ Care, Anela Kaneshiro, John Kenny, Minji Kim, Iain Klegner, Lorain Likich,e Kamakana Liwai, Mika Odaira, Chaselin Ogata, Leilauna Olson, Esse Soyon and Shwe Win. Branching Out – Kanoe Kama, Keziah Soares and Hope Surigao. Young Creations – Wilmer Agpaoa, Jaylen Mae Arzaga, Kaylee Marques and Hermione Mikami. Zenith – AJ Care and Iain Klegner. Branching Out – Kimokeo Bowden, Alicia Freitas, Kekoa Gomes, Aaryn Hoota, Keiko Mills, Naya Nguyen and Kala Van Veen. Young Creations – Seth Bello, Phoebe Furuli, Mikyla Nakila, Nathan O’Leary, Princess Fatimah Rasalan, Kailey Scanlon and Titongi Taomia. Zenith – Shayna Atiz, Brianna Diaz-Escobar, Mikaela Durch, Mika Odaira and Fiona Supan. 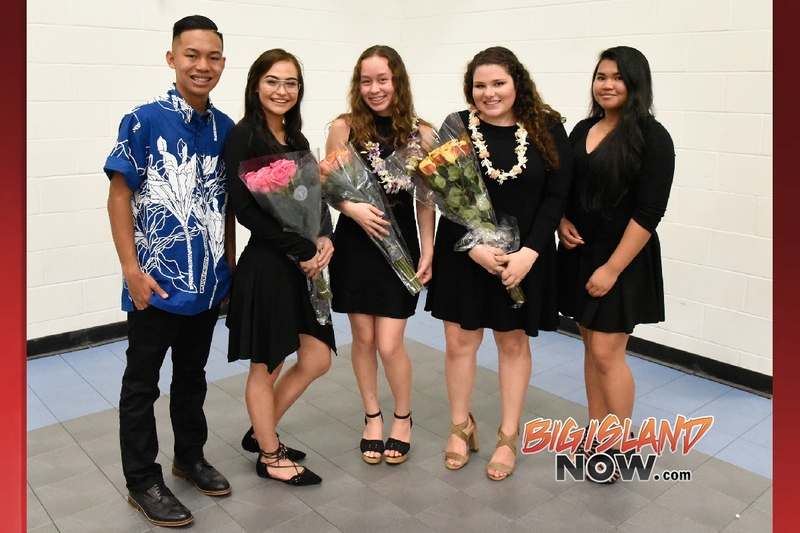 Branching Out – Kekoa Gomes, Kanoe Kama, Kalsey Nacis Jr., Naya Nguyen, Jaden Padamada, Keziah Soares and Brittany Williams. Young Creations – Wilmer Agpaoa, Jaylen Mar Arzaga, Daniel Briski, Maribel Dela Cruz, Phoebe Furuli, Kaylee Marques, Jadon Smith, Titongi Taomia, Kira Taylor and Emilia Wagner-Prekaski. Zenith – Riezhelle Agpaoa, Shayna Atiz, Sabina Boo Rivera, Mikaela Durch, Kyla Fabiani, John Carlo Galamay, Fiona Supan, Thane Todd, Corbin Warmbier and Albert Zuniga. Anyone thinking about enrolling at Hawaiʻi Community College (HawCC) in the fall semester of 2018, should mark down Thursday, Feb. 8, from 9 a.m. to 1 p.m. on their calendar for the 5th annual Hawaiʻi Community College Day at the Manono Campus. 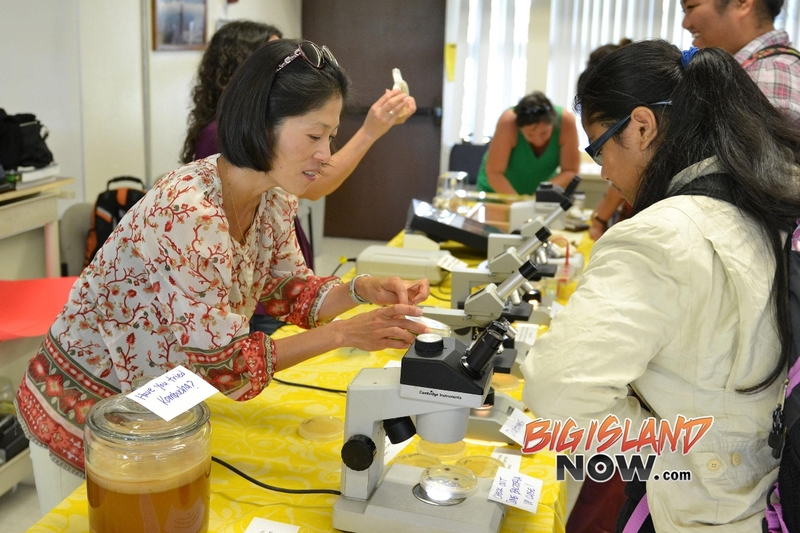 Hawaii CC science instructor Luria Namba talks to an attendee at a past Hawaii CC Day event. The day will begin with a kīpaepae welina, a traditional Native Hawaiian welcoming ceremony. The college’s academic programs and student services will present interactive exhibits that highlight the degree and certificate programs available at the campus. Visitors will be able to participate in express admissions by completing an application and learning more about the next steps in the enrollment process. HawCC staff members will also be on-site to help with enrollment. For more information about the event, contact the HawCC Information Center at (808) 934-2800 or the HawCC website. 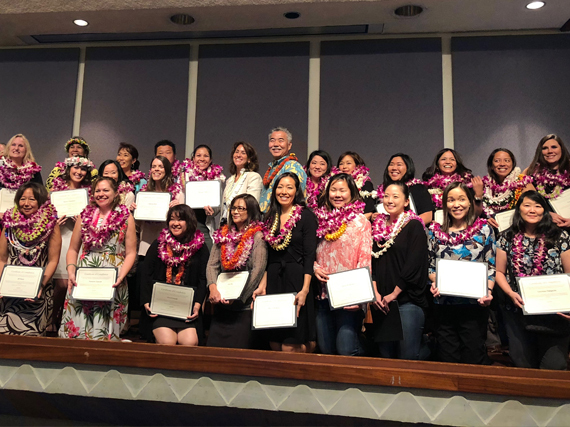 The Hawai‘i Department of Education announces that 56 teachers were honored Wednesday, Jan. 24, 2018, for earning or renewing their National Board for Professional Teaching Standards Certification. Educators who earn this certification have demonstrated that they meet the highest standards for teaching, and must be up-to-date with the latest strategies and best practices in education. Superintendent Dr. Christina Kishimoto addressed the teachers at the 2018 Hawai‘i National Board Certified Teacher Ceremony hosted by the Hawai‘i State Teachers Association and Kamehameha Schools at the Hawai‘i State Capitol Auditorium. 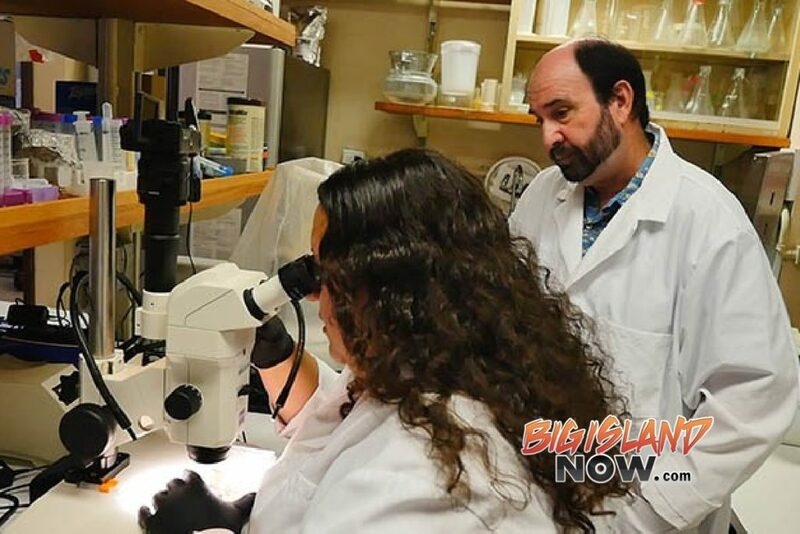 Hawai‘i is ranked 11th in the nation for percentage of National Board Certified Teachers (NBCTs), and boasts one of the fastest growing populations of NBCTs. There are currently 625 teachers who earned their certification. The NBCT certification is a rigorous process that can take anywhere between one to three years and involves applicants submitting comprehensive portfolio. The renewal process is just as demanding and requires teachers to show professional growth. For more information about the certification and the National Board for Professional Teaching Standards, click here. 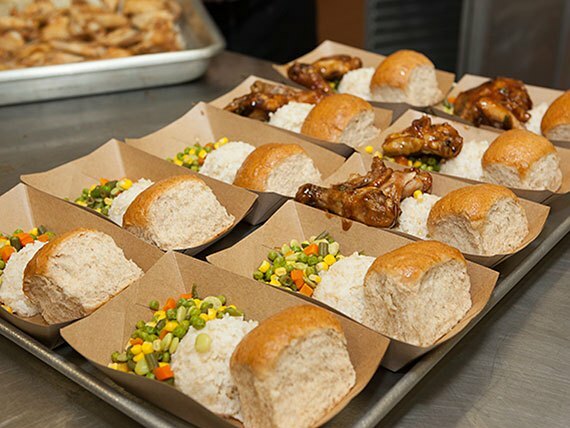 The Hawai‘i State Department of Education (HIDOE) is in the process of transitioning to Harris School Solutions (eTrition) – a new school lunch online payment system – after the current contract with PrimeroEdge (SchoolCafé) ended on Sunday, Dec. 31, 2017. In a letter to parents and guardians, families were instructed to make all meal deposits directly to the school beginning Monday, Jan. 22, 2018. During this time, student eligibility and balance data will be transferred to eTrition from the PrimeroEdge system. Click here to see when the new system will be rolled out to each school. Online payments for each school will resume and be implemented at a later date. Hawai‘i Gov. David Y. Ige is encouraging high school girls to participate in the first major cybersecurity training program specifically for young women, grades 9 – 12, who may be interested in pursuing a career in cybersecurity. The state is partnering with the SANS Institute to bring the GirlsGoCyberStart program to Hawaiʻi. The first 10,000 eligible registrants will be invited to play an online game that runs Tuesday through Sunday, Feb. 20 to 25, 2018, in which participants play cyber protection agents protecting an important operation base. Entrants who excel will be recognized and eligible to win computers and other prizes, as well as a trip (with a parent) to the 2018 Women in CyberSecurity Conference in Chicago in March. “This is a wonderful educational opportunity for young women to learn about the various careers in cybersecurity. Right now, only 11 percent globally and 14 percent nationally of the cybersecurity workforce are women, and this program provides an outlet to inspire and empower high school girls who have a desire to enter the cybersecurity field,” said Office of Enterprise Technology Services Chief Information Security Officer Vincent Hoang. Registration for GirlsGoCyberStart starts on Monday, Jan. 29, and ends on Friday, Feb. 16, 2018. Participating students do not need prior cybersecurity knowledge or programming experience. All that is required is a computer and an internet connection. For more information on Hawaiʻi’s GirlsGoCyberStart program, including exclusive prizes for Hawaiʻi participants and orientation opportunities, click here. Parents of students at Kamehameha Schools Bishop Estate (KSBE) students received an email from Vice President of Education Dr. Holoua Stender, notifying them of new graduation requirements that would begin with the class of 2022. A new set of unified high school graduation requirements for all three campuses was recently approved by the Kamehameha Schools Board of Trustees. These new requirements will enable Kamehameha Schools students across the three campuses to have access to comparable and consistent educational experiences, founded on the achievement of the E Ola. Learner Outcomes which will assist each student to grow toward realizing his/her full potential as good and industrious global citizens and servant leaders. “I am sincerely grateful to nā Poʻo Kumu (principals) and nā Poʻo Kula (headmasters) from Hawai‘i, Kapālama and Maui for their incredible work in creating our first-ever set of Kamehameha Schools graduation requirements beginning with the class of 2022,” said Education Vice President Dr. Holoua Stender. The new graduation requirements will begin with next year’s incoming freshmen class (2022). Students in the classes of 2021, 2020 and 2019 will continue to follow the requirements set forth prior to the new tri-campus graduation requirements. Nā Mauli Hiwa (non-credit courses). *Language requirement includes two years of Hawaiian language (Hawaiian 1 and Hawaiian 2). Students who pass a tri-campus proficiency test for Hawaiian 1 may earn placement in Hawaiian 2. Students who pass a tri-campus proficiency test for Hawaiian 2 may earn placement in Hawaiian 3. Students who attain proficiency in Hawaiian 2 via assessment, or by completing the Hawaiian 2 course, may choose to enroll in Hawaiian, or another language (e.g., Japanese, Spanish, etc.) and complete at least two years of their selected language to fulfill the language requirement. 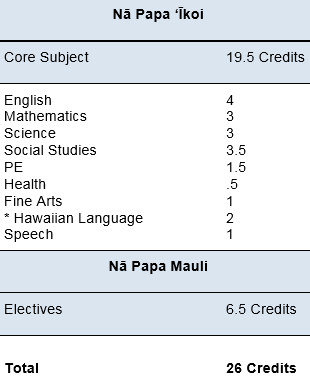 As a part of Nā Papa ‘Ikoi and Nā Papa Mauli, students will earn 26 core and elective credits. In addition, all students will be required to take two years of ‘ōlelo Hawai‘i (Hawaiian language). “This emphasis on ʻōlelo Hawaiʻi conveys Kamehameha’s commitment to cultivating a strong Hawaiian identity, which we believe provides a competitive advantage for our haumāna and graduates. 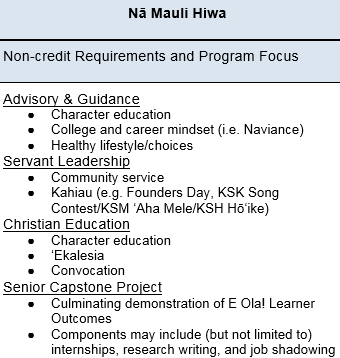 For the Nā Mauli Hiwa requirement, students will participate in school-based activities which foster character development, cultural identity, college and career readiness, safety, health and well-being, and servant leadership. A notable component in this new educational experience is a culminating senior capstone project demonstrating how E Ola! Learner Outcomes become embodied in student-centered, personalized projects which enable haumāna to become local and global leaders, who are culturally engaged and play significant roles in creating strong ʻohana and communities throughout ka pae ʻāina o Hawai`i and beyond. The approved requirements align Kamehameha to other independent schools, while also acknowledging emerging trends in college acceptance requirements. As haumāna explore their options for college and career, they will be confident knowing that Kamehameha Schools has prepared them with rigorous and relevant courses of study. Haumāna wil be equipped with skills, knowledge and values through our Hawaiian culture-based program of study which will prepare them with a unique growth mindset for learning and leadership in the complex global society of today. Our kumu, administrators and operations staff continue to put their hearts and souls into creating wonderful and enriching educational experiences for your keiki. As always, I am grateful for their dedication to our haumāna and to all of you, for fulfilling the sacred mission that Ke Ali‘i Pauahi set forth for us 130 years ago. Our campus staff will continue to discuss and review these new graduation requirements among their colleagues, department heads, and campus leaders, and will work diligently to prepare our haumāna as we take this important step forward. Hawai`i State Senator Lorraine Inouye. Senate Communications photo. Hawai‘i Gov. David Ige released $3 million in Capital Improvement Project (CIP) funding for Honoka‘a High and Intermediate School. Allocated has been $1.5 million to provide covered walkways that will connect various buildings at Honoka‘a High and Intermediate School. This project will also improve cross-campus mobility while improving sidewalk ADA ramps and access. Another $1.5 million will finance the design and construction of new restroom facilities at the school’s auditorium. Sen. Lorraine Inouye (District 4: Hilo, Hāmākua, Kohala, Waimea, Waikoloa, Kona) championed to secure the funds which was approved in the 2016 and 2017 Legislative Sessions. Honoka‘a High and Intermediate School was founded in 1889 and is located in the center of Honoka‘a Town on the Hāmākua Coast of the Island of Hawai‘i. The Honoka‘a complex is unique in that it is the only high school in the state that is fed by a kindergarten to eighth grade public conversion charter school (Waimea Middle), a kindergarten to sixth grade elementary school (Honoka‘a Elementary) and a kindergarten to ninth grade elementary and intermediate school (Pa‘auilo Elementary & Intermediate), serving students from as far as Kawaihae through ‘Ō‘ōkala, about a 40 mile reach. The Hawaiian Electric Companies Hawaii State VEX Championships are scheduled Jan. 13-14, 2018 at Kamehameha Schools Kapalama Campus gymnasium with more than 140 elementary, middle and high school teams from around the state competing for 25 qualification slots at the VEX World Championships in St. Louis, Kentucky this April. The state VEX Championships are free to the public. On Saturday, opening ceremonies for the VEX EDR (middle and high school teams) will begin at 8:45 a.m. with qualification matches starting at 9 a.m. through 12:45 p.m. Elimination matches will start at 1:45 p.m. followed by an awards ceremony at 4 p.m. Of the total 47 teams competing, only five will advance to the VEX Worlds. Competing schools in the VEX EDR include Highlands Intermediate, Hilo High, Island Pacific Academy (Kapolei), Kaiser, Kalani, Kamehameha Schools, Kapolei Middle, Keaau High, Kealakehe High, King Kekaulike, Konawaena High, Kohala High, Lokelani Intermediate, Maryknoll High, Maui High, Mililani High, Mid-Pacific Institute, Moanalua High, Molokai High, Pearl City High, Sacred Hearts Academy, Saint Joseph, Saint Louis, Stevenson Middle, Waiakea Intermediate, Waialua High & Intermediate and Waipahu High. Circuit Breakers, Island Robotics and 808 Robotics Homeschool also will compete. On Sunday, opening ceremonies for the VEX IQ championships will begin at 8:30 a.m. with concurrent qualification matches starting at 9:30 a.m.-12:30 p.m. on separate fields for elementary and middle school teams. Afternoon matches begin at 1 p.m. followed by an awards ceremony at 3:45 p.m. The VEX IQ elementary championships will advance 11 of 46 teams to the VEX Worlds while the VEX IQ middle school championships will advance 9 of 45 teams. Competing elementary schools are: Aliamanu, August Ahrens, Ewa Beach, Hawaii Technology Academy, Holualoa, Huaikalani School for Girls, Kaunakakai, Keaau, Konawaena, Kualapuu, Lihikai, Manana, Manoa, Maryknoll, Mililani, Moanalua, Nuuanu, Pearl City Highlands, Pomaikai, Princess Nahienaena, Pukalani, Sacred Hearts Academy, Saint Joseph and Waimalu. Mechaneers Robotics Club, BSA Aloha Council Troop 32, Manoa RoBlocks, Moanalua Pack 9 Cub Scout and Pack 33 Manoa-Kapiolani District Aloha Council also are entered. Competing middle schools are: Akaula, Hanalani Schools, Hawaii Technology Academy, Hilo Intermediate, Ilima Intermediate, Island Pacific Academy, Kamehameha, Kapolei, Keaau, Konawaena, Lokelani Intermediate, Maryknoll, Mid-Pacific Institute, Mililani, Molokai, Sacred Hearts Academy, Saint Louis, St. John Vianney, Volcano School of Arts and Sciences, Waiakea Intermediate and Waialua. Cornerstone Engineering Robotics, Girl Scouts Troop 254, KalamaBotics (Makawao) and Phoenixbots (Mililani) also are registered. The Hawaii State Department of Education (HIDOE) this morning received encouraging feedback from the U.S. Department of Education (USED) following a review of its State plan for the Every Student Succeeds Act (ESSA). USED officials gave the indication for “ultimate approval of the plan” during a call with HIDOE officials. ESSA is a reauthorization of the federal education law known as the Elementary and Secondary Education Act. It replaces the prior reauthorization, most commonly known as No Child Left Behind. Following the Hawaii State Board of Education approval, the Superintendent and Governor David Ige submitted the signed state’s ESSA plan to USED in September 2017. The Hawaii ESSA plan is designed to support HIDOE’s Strategic Plan objectives, which provides common direction for public schools to empower students in their learning. HIDOE is making the necessary adjustments where further clarification is being sought on student supports that are already in place. Once the non-substantial changes are made, Superintendent Kishimoto will send the State plan to the USED for final approval. For information on the state plan, visit http://bit.ly/HIDOE-ESSAfaqs. Read the USED Hawaii State plan interim feedback letter here. The Native Hawaiian Health Scholarship Program (NHHSP), a program of Papa Ola Lōkahi (POL), is pleased to announce that it is now accepting applications from students in health care and allied health professions for the 2018-2019 academic year. The deadline to apply online is March 18, 2018. Awards are provided to students enrolled or enrolling full-time in an accredited college in Hawai‘i or the continental U.S. Benefits include tuition, other school related expenses, and a monthly stipend. Upon completion of the degree and required training and licensure, the recipient shall serve two to four years of full-time employment in designated medically underserved sites in Hawai‘i. Applications are being accepted from students in clinical psychology, dentistry, dental hygiene, dietetics, marriage & family therapy, nursing, medicine, optometry, pharmacy, physician’s assistant, public health and social work. Nine scholarships were awarded earlier this year. More than 275 scholarship awards have been made in almost 20 different health and behavioral health disciplines since 1991. The entire application process is online. For more information about the Native Hawaiian Health Scholarship Program visit our website at www.nhhsp.org.